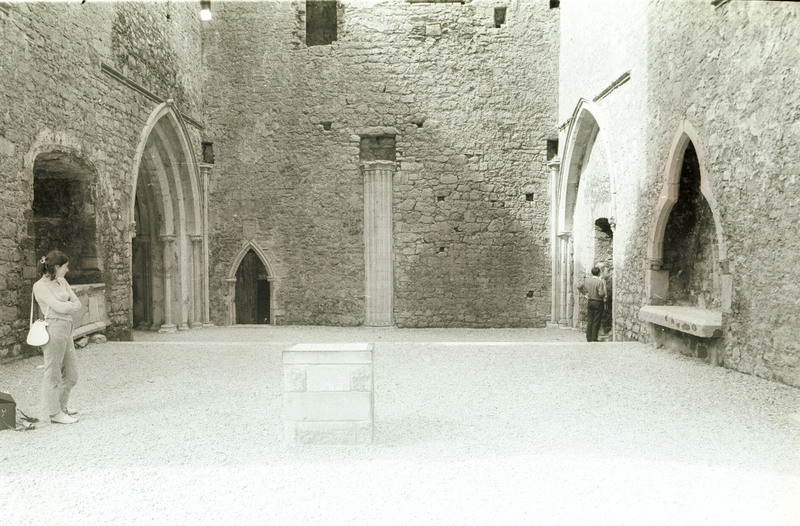 “St Patrick's Cathedral, Cashel, Co Tipperary, interior - west end, nave,” Gothic Past, accessed April 20, 2019, http://gothicpast.com/items/show/1229. Photograph by Roger Stalley. View of west end showing entrance portal in south elevation, doorway to west tower and trefoil headed niche in north elevation. Pointed arches of doorways break through stringcourse overhead; recessed orders of entrance doorway have chamfered arch mouldings, foliate capitals and filleted shafts.